The classic wine pairing for goat cheese is Sancerre Sauvignon Blanc. There is certainly a lot of reason for this. 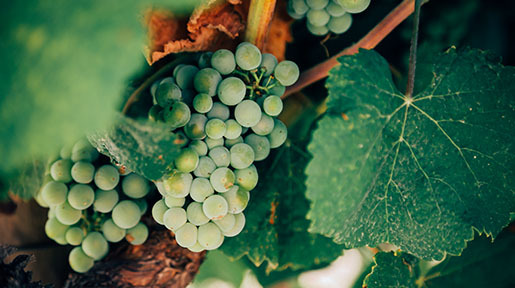 Sauvignon Blanc from Sancerre in the upper Loire Valley is traditionally very clean, acid, and fruity – the predecessor of New Zealand style. 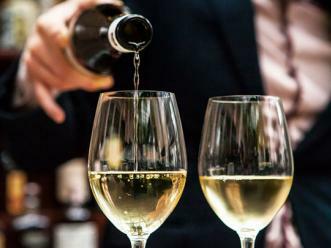 When matched with a rich, creamy goat cheese, Sauvignon Blanc’s beauty is its ability to cut through the richness of the goat’s milk and prepare the palate for another bite. 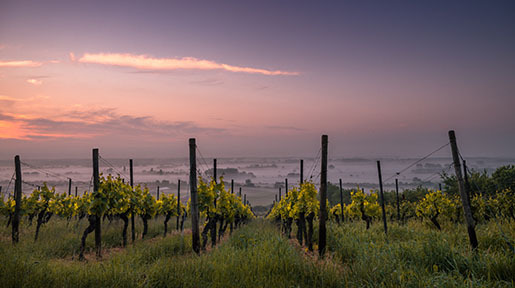 For an intriguing Sauvignon Blanc outside Sancerre (and a bit south) try the 2006 Saint-Bris, Sauvignon, Domaine Goisot – the only sauvignon made in Burgundy. Not only is this a unique wine, it fulfills this pairing with a grace that Sancerre is lacking. (About $12) – Ben Spencer is a diploma student with the Wine & Spirit Education Trust and an IntoWine Featured Writer. One of our favorite recipes for dinner parties is having a Roasted beet salad with goat cheese croutons. First, roast the beets, peel the skins and slice them thin. Take rounds of goat cheese, dip them in an egg wash and then bread crumbs. Toast them in oil in a frying pan until warmed thru. Put the beets on a bed of lettuce, top with a few goat cheese rounds. Fantastic. And the best wine to serve with that? A German Riesling. 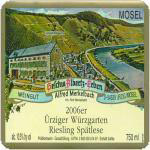 Specifically, I will recommend a 2006 Merkelbach Urziger Wurzgarten Riesling Spatlese. These are in the stores now and cost around $20 or less. It is not the most profound German Riesling in the marketplace, but it is very good. Lots of great acidity, nice mineral and wet stone flavors with some nice citrus fruit. The sweetness of the wine balances the goat cheese well. The acidity makes it great with the beets. Finally, the lower alcohol works well early in a meal so as not to fill one up or make one too tipsy to enjoy the rest of the meal. - Loren Sonkin, IntoWine.com Featured Contributor and the Founder/Winemaker at Sonkin Cellars.